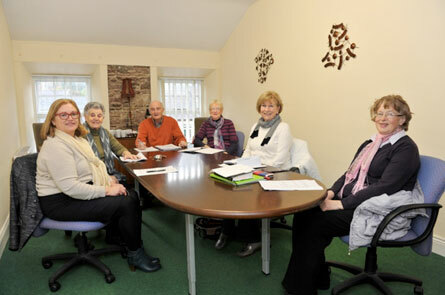 The Resource Centre is run by a voluntary board of management. The board of management meet every month and each of the services operating within the Resource Centre report back to this monthly meeting. The board of management hold an annual general meeting each year, where the accounts for the previous year are read and discuss and the election of officers takes place. There are three part-time staff members employed in the Resource Centre who are assisted on a daily basis by staff employed through the FAS and TUS community employment schemes. The Resource Centre is also very fortunate to have a solid base of volunteers who help with the running of our in-house services. These volunteers bring a wealth of personal knowledge and experience of the town and its occupants to the services. We currently have between 20 – 25 volunteers working within the various in-house services. For any enquiries, please contact the Resource Centre on 025 32962 or alternatively send an email to info@fermoyresourcecentre.com and one of our staff will get back to you as soon as possible.